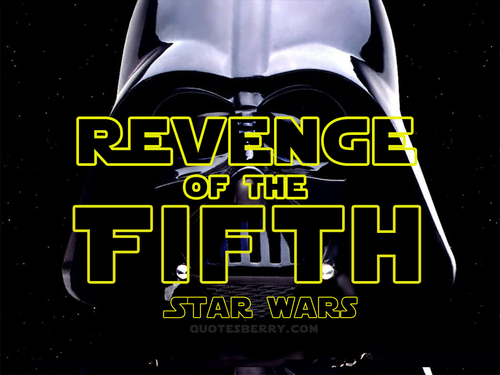 Revenge of the 5th! 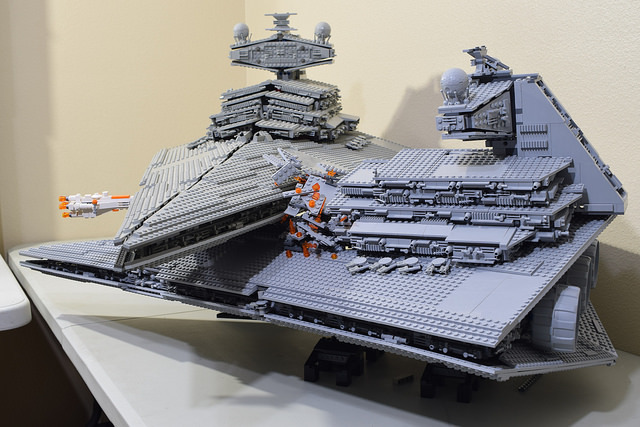 #StarWarsDay #RevengeOfThe5th « Adafruit Industries – Makers, hackers, artists, designers and engineers! The Jedi must end — and not in a Luke-finally-figures-out-what-balance-means kind of way, but in an Order 66 kind of way. Sometimes it feels good to be bad. 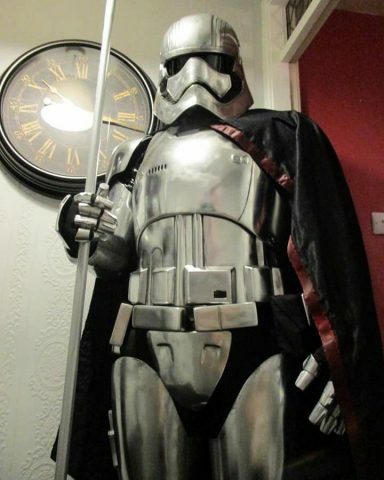 Check out the cosplay and project below that give glory to the dark side of the force! Darth Vader is costume I see executed with varying degrees of screen accuracy on a regular basis. I’ve come across a few different steampunk Vaders, a princess Vader, and other versions of the character. 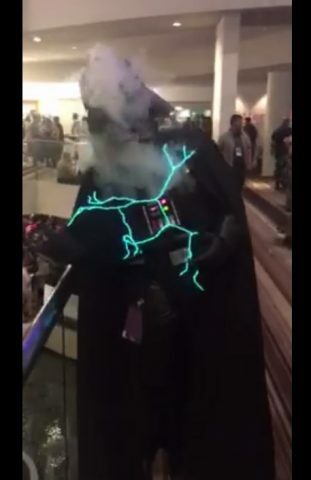 But this is the first time I’ve seen a cosplayer show the moment when Emperor Palpatine unleashed Force lightning upon Vader. The lighting effect can be achieved with LEDs, and you could rig a little fog machine to simulate smoke. Dan Aldred, Raspberry Pi Certified Educator and creator of the website TeCoEd, has built Darth Beats by managing to fit a Pi Zero W and a Pimoroni Speaker pHAT into a LEGO Darth Vader alarm clock! The Pi force is strong with this one. As we all know, anything you love gets better when you add something else you love: chocolate ice cream + caramel sauce, apple tart + caramel sauce, pizza + caramel sau— okay, maybe not anything, but you get what I’m saying. The resistance is trying to make a quick getaway before the First Order arrives. Then—boom! It’s too late. 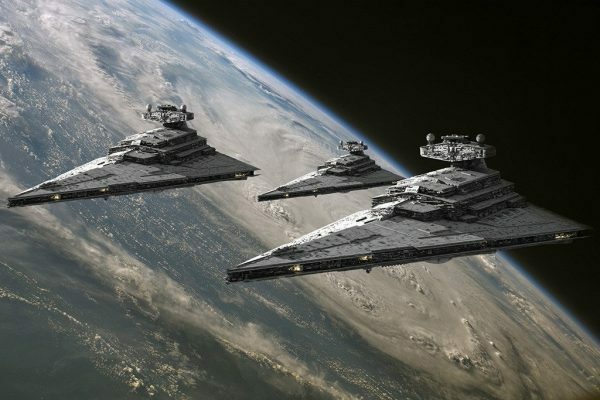 They’re already here—two Star Destroyers just arrived near the planet in space. 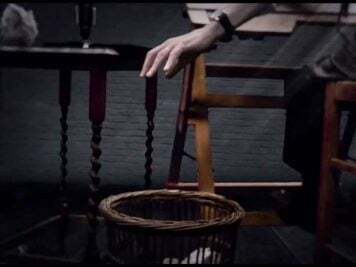 The first question to consider: How far can a human see? Well, that’s a simple question with an easy answer. I can see the moon—that’s more than 200,000 miles away. Better yet, I can see a galaxy (if it’s really dark) and that is over 2 million light years away. So, humans can see really far. Distance isn’t the problem. Really, the key idea here isn’t “how far” but rather “angular size.” The angular size of an object depends both on the actual size and the distance from the observer: The reason you can see something like the moon even though it is super far away is because it is big. If you put the moon much farther away, you couldn’t see it. You can calculate the angular size as just the object size divided by the distance (in radians). If you want to convert to degrees, you need to also multiply by 180 and divide by π.